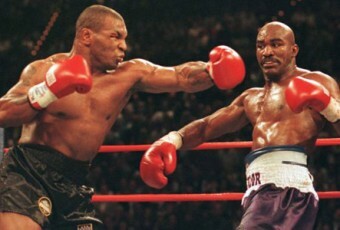 Boxing is a combat sport in which two people engage in a contest of strength, speed, reflexes, endurance and will by throwing punches with gloved hands against each other. Amateur boxing is an Olympic and Commonwealth sport and is a common fixture in most of the major international games—it also has its own World Championships. …read more! Brazilian Jiu-Jitsu (BJJ) is a martial art, combat sport and a self defense system that focuses on grappling and especially ground fighting. Brazilian jiu-jitsu was formed from early 20th century Kodokan Judo ground fighting (Ne-Waza) fundamentals that were taught to, Luiz França and Carlos Gracie by master Mitsuyo Maeda. Brazilian jiu-jitsu eventually came to be …read more! Catch wrestling is a classical hybrid grappling style that was developed in Britain circa 1870 by Mr. J. G. Chambers then later refined and popularised by the wrestlers of travelling carnivals who developed their own submission holds, or “hooks”, into their wrestling to increase their effectiveness against their opponents. 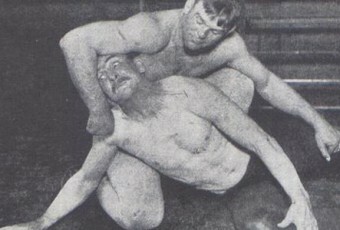 Catch wrestling derives from a number …read more! 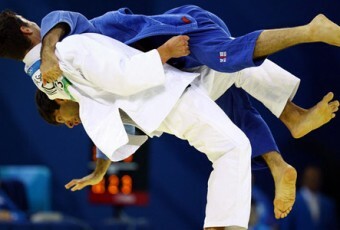 Judo is a modern martial art, combat and Olympic sport, created in Japan in 1882 by Jigoro Kano. Its most prominent feature is its competitive element, where the objective is to either throw or takedown an opponent to the ground, immobilize or otherwise subdue an opponent with a pin or force an opponent to submit …read more! Kickboxing is a group of martial arts and stand-up combat sports based on kicking and punching, historically developed from Karate, Muay Thai and Western boxing. This discipline is practiced for self-defense, general fitness or as a contact sport. Japanese kickboxing originates in the 1960s, with competitions held since the 1960s. American kickboxing originates in the …read more! Luta Livre means wrestling in Portugal. That said, the term Luta translates to ‘fight’ and Livre translates to ‘free’. Therefore, loosely the term means ‘free fighting’. Luta Livre as we know it today emanated from Brazilian judo and wrestling. It was founded in the mid 20th century by Euclydes Hatem, who went by the name …read more! Muay Thai is a combat sport from the muay martial arts of Thailand that uses stand-up striking along with various clinching techniques. This physical and mental discipline which includes combat on foot is known as “the art of eight limbs” because it is characterized by the combined use of fists, elbows, knees, shins and feet, …read more! Sanda or Sanshou is a Chinese self-defense system and combat sport. Sanshou is a martial art which was originally developed by the Chinese military based upon the study and practices of traditional Kung Fu and modern combat fighting techniques; it combines full-contact kickboxing, which include close range and rapid successive punches and kicks, with Wrestling, …read more! Submission wrestling (also known as submission fighting, submission grappling, sport grappling or simply as No-Gi) or Combat wrestling (in Japan), is a formula of competition and a general term describing the aspect of martial arts and combat sports that focus on clinch and ground fighting with the aim of obtaining a submission using holds. The …read more! Wrestling is a form of combat sport involving grappling type techniques such as clinch fighting, throws and takedowns, joint locks, pins and other grappling holds. A wrestling bout is a physical competition, between two (occasionally more) competitors or sparring partners, who attempt to gain and maintain a superior position. There are a wide range of …read more!